I used to imagine Kevin Morby's arrival in New York from Texas sort of like Jon Voight's at the beginning of Midnight Cowboy. Big ideas, big plans, big boots. If you've seen the movie, you know that maybe this isn't the most flattering comparison. That's life, though—not everyone can be talented enough to make it, and sometimes, leaving your fry-cook job (or, in this case, your steady bass-playing job in the band Woods and high-tailing it to L.A.) simply isn't the right decision. 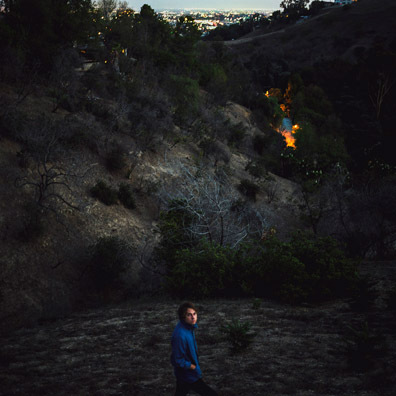 At least, that's what I thought in listening to Morby's first two solo releases, which just didn't have the air of an artist meant to be on his own. His third release, Singing Saw, has proved me the hell wrong. Part of coming around on him has had to do with getting used to his Dylanesque drawl. It's an imperfect instrument, and in the past it felt something like a caricature of itself. But as with many imperfect things, there's a charm to it. Take, for example, its use in the album's lead single, "I Have Been to the Mountain." There's so much going on—-fast-moving nylon-string and electric guitar parts, gigantic snare kicks, warring horn and string arrangements, and, most prominently, swelling gospel backing vocals—that it's nice to have something unassuming to anchor it all down. The complete result is a stunning piece of post-Laurel Canyon rock that is already an early contender for song of the year. In similar ways, the rest of the album succeeds throughout its 43 minutes much the same as other folk curiosities like Bill Fay's Time of the Last Persecution and Leonard Cohen's Death of a Ladies' Man. There's a strong sense of ambition on these recordings, a strong sense of purpose.